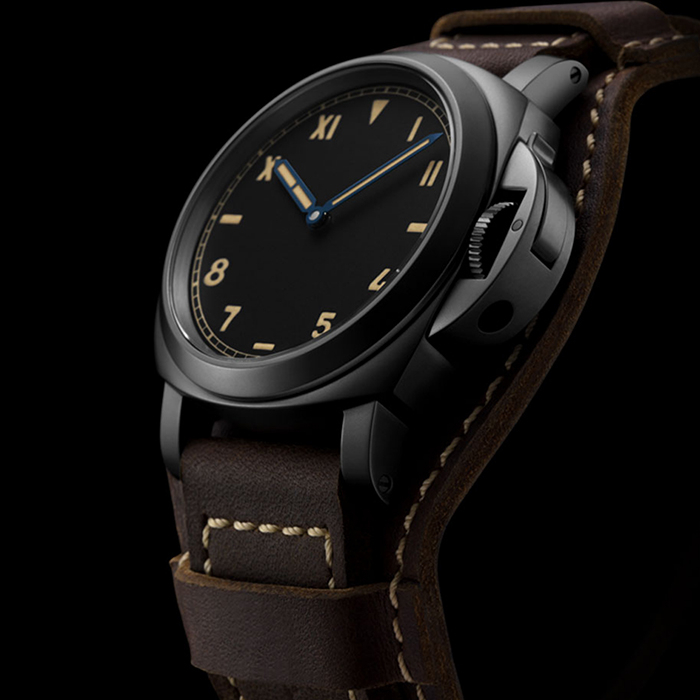 One of the most military and enigmatic dials in Panerai's history. 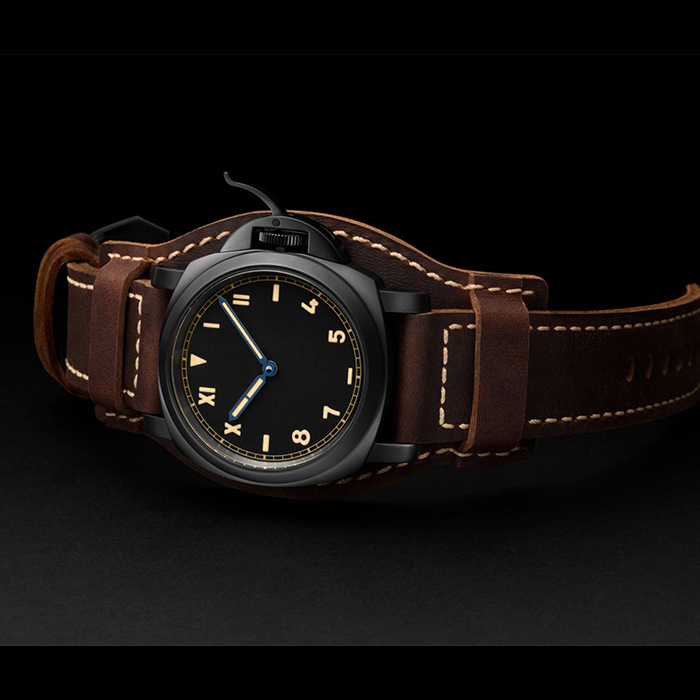 The Luminor case houses a simple, fascinating black California dial: that original combination of graphic markers with Roman and Arabic numerals which were originally used by Panerai on some of its earliest dials. The strap of untreated leather combines great strength with a soft, natural effect, both to the touch and to the eye, and its varied patina, modified by use and the passage of time, makes each example unique. It can be worn in its basic version or as a cuff strap, using the accessory supplied, originally designed for military use, which prevents the back of the watch coming into contact with the skin. The watch’s Luminor case is made of titanium coated with DLC an even carbon-based layer which gives the metal a uniform appearance, with a matt anthracite finish and greater hardness, resistant to scratches and corrosion. The bridge lever device which protects the winding crown is also coated in DLC and it contributes to the watch’s high degree of water-resistance: 30 bar (a depth of about 300 metres). WATER RESISTANCE "30 bar (~300 metres)"